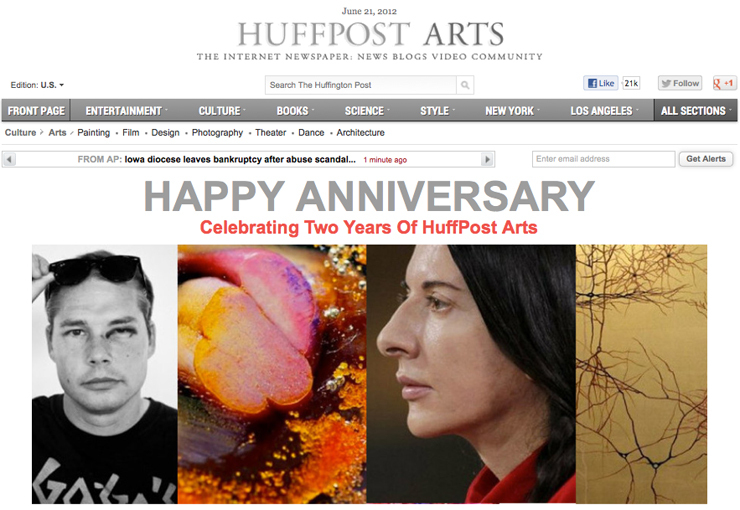 “Here we are, two years later, after the merger with AOL, our expansion into Europe, Canada and Latin America — the art, writings and comments you see here now constitute the most widely read arts blog in the world,” she says as she surveys the journey. 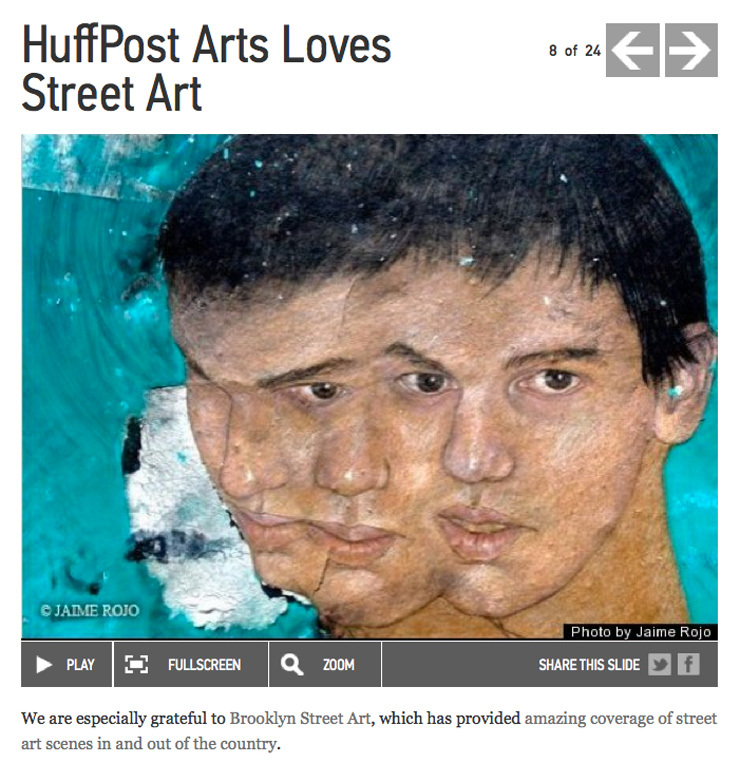 Brooklyn Street Art is proud that we have been contributors to HuffPost Arts since its inception with our in-studio interview with Street Artist Gaia right here in Brooklyn on June 17, 2010. Since that time we became regular contributors to the page with 63 pieces on Street Art around the world, in studios, and in museums. With Brooks’ avid encouragement and the expert guidance of Arts Editor Kathleen Massara, we have even been able to scoop publications like The LA Times and the New York Times with our reviews of LA MoCA’s “Art in the Streets” and the Brooklyn Museum’s important Keith Haring show this spring. Kimberly likes to say that bloggers are like the Street Artists of the Internet. She may be pulling our leg, or she could be right on target. Whatever it is, we’re happy as hell about it! Print Is Dead, Long Live the Print Journal! See Kimberly’s cover story and a full compliment of images from her first two years here. Banksy: Should his Art Be Listed?